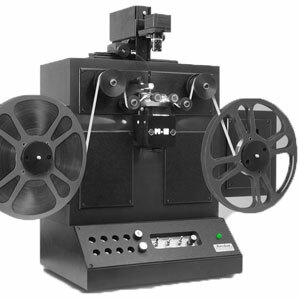 We now offer in-house Standard and Super-8 movie film transfer to DVD and/or digital files using our MovieStuff Retro-8 Pro frame-by-frame movie flilm scanner. Beware conversion services that run on old projectors. Old movie film can suffer from shrinkage, sprocket damage and other nasty stuff - the last thing you need is for someone to run it through a projector again! We're told we do a pretty good job on 8mm movie film. Our Retro-8 is a frame-by-frame, continuous feed, high definition movie scanner with zero image contact and solid state frame registration for smooth, flicker-free transfers to digital. We can convert your 8mm movies to DVD, ready to play, or supply you with 720p MOV, MPG, H.264 or other digital format files for you to edit using any movie editing software available. Image Sequences - Another feature of our service is that our MovieStuff can also convert your entire movie into a JPG or TIF image sequence. You get one image for each complete frame in your movie, suitable for archiving, specialist work or for import into a NLE editor. Here on the left, believe it or not, is a standard 8mm film frame image area. It measures just 4.8 x 3.5mm. Yes, we can also interpolate your movies up to HD 1080p if you wish, but we don't recommend it. Its pretty obvious why. Imagine that 8mm frame blown up on a 55-inch TV. The scanner has already pulled the maximum details out of the frame. To enlarge it further, interpolation is used - adjacent pixels are copied to create more. No detail is added and the net effect is a softer image. We think you'll be happy with your files in SD 720p. Sorry, we don't transfer sound film or film gauges greater than 8mm. We will certainly co-ordinate your order in Auckland however, and have it processed for you though our 'buddy' company, Videostation in Kaiapoi, Christchurch who have top-class MWA Flashscan and Tobin equipment. Alternatively you can contact them direct on 03 327 2784. As far as we are concerned, there are very few professional film transfer companies in New Zealand - Videostation is one of them. Lastly, but certainly not least, for 35mm film or anything truly professional there's the industry icon Park Road Post in Miramar, Wellington. Their Spirit and Arri Scan equipment probably cost more than our entire house and office put together but you'll get world-class services if your budget permits. Pricing - 8mm Cine Film Transfer to DVD or file For any undamaged Standard or Super-8 cine film, reversal or negative. Choose either MOV, MPEG-2, 720 x 576 pixels, or JPG/TIF image sequence. Please note that we may apply extra charges for damaged, broken or dirty film including splicing if required. Prices per reel ex-GST. Courier your films, or bring them in! Click 'Order Now' to estimate your costs. If you are happy, then confirm your order online and courier your films. Alternatively, just give us a call, or if you are local, bring them in, but please call first to fix a time. Not sure about something? Visit our Help and Assistance pages! You'll find detailed support on our film, photo video and cine film scanning services and samples too. Or, just call us on 0800 474748 or email customerservice@filmscan.co.nz for help.